Gina Nucci started her career with Mann Packing Company as New Product Development Manager. Her responsibilities included developing a marketing strategy for Broccamole® and providing content for the company’s web site, broccoli.com, one of the first interactive sites in the produce industry. In 1996, Ms. Nucci accepted an overseas position with Aspect Communications Group, Ltd., a London-based public relations and internet marketing agency. At Aspect, her responsibilities included online production, public relations strategy and implementation, event management and new business development. Her clients included BBC Good Food, EMAP Business Communications, the Disney Channel and Woman Magazine UK. She returned to the United States in 1998 and rejoined Mann Packing as Brand Marketing Manager for Broccolini®. She was promoted to Foodservice Marketing Manager in 1999 and Director of Food Service Marketing in 2003. In 2010, she was promoted to Director of Healthy Culinary Innovation where she managed product development for foodservice. Charged with finding the next new vegetable, she worked with seed companies on unique varieties and R&D chefs across the country to help implement new nutritional standards on menus. Ms. Nucci helped launch Mann’s Arcadian Harvest® and Mann’s Better Burger Leaf® lettuces. Additionally, she managed national & regional foodservice distributor partner’s marketing; national operator account menu development and contracts; and all foodservice marketing for North America. In 2016, she was promoted to Director of Corporate Marketing, which is the same role she holds today. 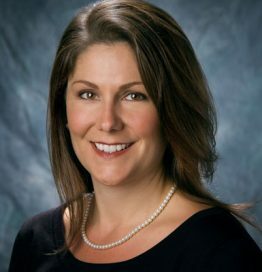 In her current role, Ms. Nucci manages trade and consumer marketing for Mann Packing Company, planning and implementing marketing and product development programs, both short and long range, targeted toward existing and new markets in the U.S. and Canada. Ms. Nucci is also shareholder of Mann Packing Company. Nucci is active in industry and local organizations, serving on the foodservice division board of PMA for three years and volunteering for PMA Foundation for Industry Talent. She also sat on the United Fresh Fresh-Cut board of directors. Part of her local volunteer outreach includes a board of director’s position for the Boys & Girls Clubs of Monterey County, and volunteering for the American Heart Association’s Go Red for Women Campaign in Monterey County. In 2006, she was named one of Produce Business magazine’s 40 under Forty. Ms. Nucci holds a BS degree in Nutritional Sciences with a concentration in foodservice management and marketing from the University of Arizona. She has traveled extensively in North America, Europe and Australia. She married Chicago native, Chef Kevin Hincks, in 2009 and they welcomed their first son, Charles Werner (Charlie) in 2012 and fraternal twins in 2016, Liam Donald and Calvin James. They reside in Carmel Valley, California.